It’s annual conference week and we’re packing out bags to fly out to Glasgow. 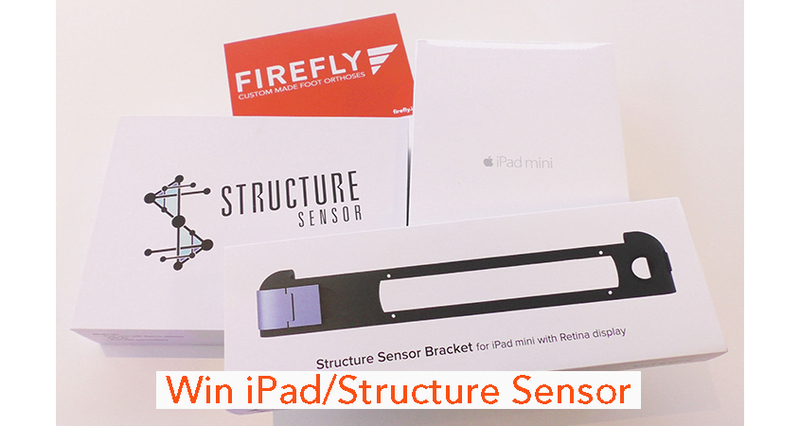 Included in our luggage are an iPad Mini and Structure Sensor which we will be giving away on Saturday evening of the conference. 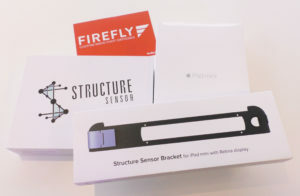 Make sure to visit the Firefly Stand [stand number 131-133] in the exhibition space, where you can enter the draw for these amazing pieces of equipment. 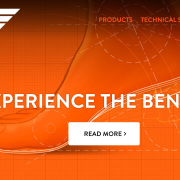 The world of Podiatry is no different to any other industry and technology is positively effecting how we as podiatrists interact and treat our patients. In Firefly’s Podiatry clinics across Ireland, our Podiatrists have embraced technology such as the iPad and Structure Sensor to capture 3D images of patient’s feet. In essence, this technology is replacing traditional casting techniques such as plater of Paris and foam boxes casting. These technologies bring a number of distinct advantages when introduced to your clinic. The most obvious advantage when using the iPad/Structure Sensor is the speed at which you can capture patient foot image data. You don’t have to prepare gloves, plaster and water basin. You don’t have to remove the plaster cast and wait for it to dry. With the iPad, you simply sync the iPad and Structure Sensor point the camera at the patient’s foot and rotate the device around the foot to capture the foot in 3D format. At Firefly we also recommend using our digital fillable order forms when submitting 3D scans to our laboratory. 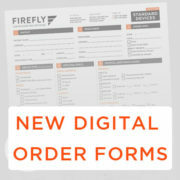 Once the 3D scan is captured, our digital order forms can be filled out on an iPad and sent to Firefly by email. 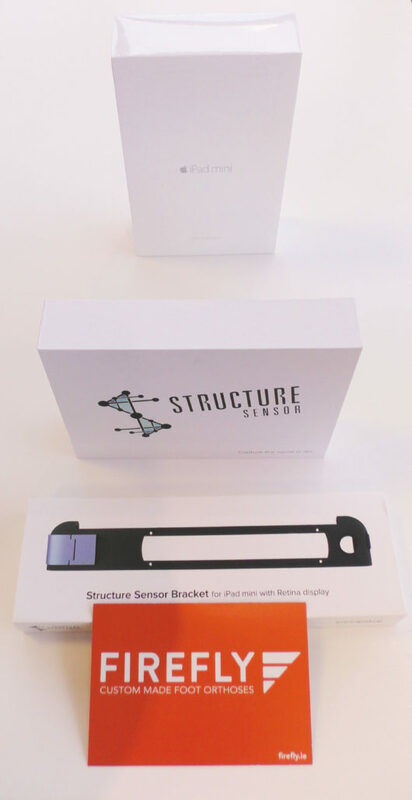 This significantly reduces the lead time for your patient. You are no longer reliant on Royal Mail when submitting the cast or foam impression. 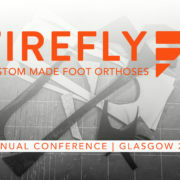 Instead Royal Mail is used only to distribute your Firefly custom made orthoses. 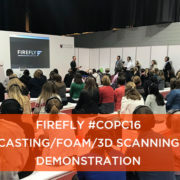 If you are attending this year’s COP Conference in Glasgow and wish to see the iPad and Structure Sensor being demonstrated, make sure to attend one of the two workshops Firefly will be hosting during the conference. The first takes place on Thursday 17th, from 6pm to 6.15pm and the second is on Friday 18th from 3.30pm to 3.45pm. 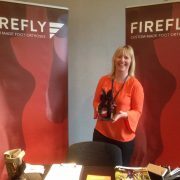 Find out more about what Firefly will be exhibiting at this year’s conference by visiting our conference overview here. 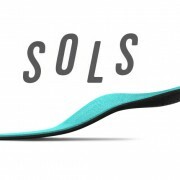 Read about Wiivv Wearable 3D printed custom insoles, and Firefly’s new over the counter orthotics, NSOLS. 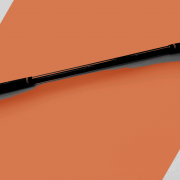 Finally, we’ll be exhibiting a new lower limb joint mobility application, the Mobisit- read all about this and more here. Digital Scanning: But how am I supposed to position the foot?